When the talented and experienced salon expert Amie Mitchell Bradford discovered the Natural Beaded Row hair extension method a few years ago, she knew that she just had to share it. Here’s a way to create a totally natural looking and feeling extension, one that’s lush, full, and completely flexible for any style that you can imagine. Amie is a fully accredited expert in the innovative approach, and in fact, her salon is the first in the area where you can experience it. 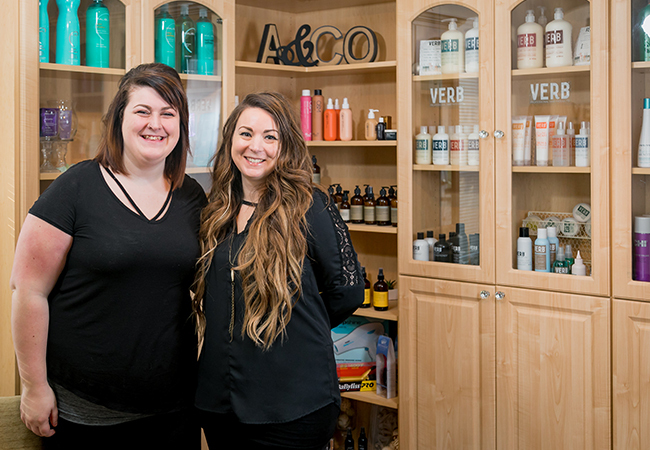 Amie, a 17 year veteran in hair styling, formed Amie and Co almost 4 years ago to be a cozy, homey, but still quite upscale oasis of style. Book your appointment soon- because a great Derby Hat deserves a gorgeous hairstyle to compliment it. Amie and Co is located at 1521 Blackiston Mill Road in Clarksville. You can reach them as (502) 641-4895.